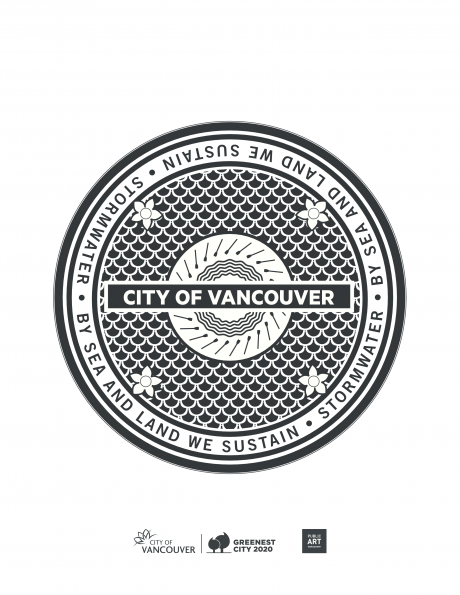 Our vision for this design was simple: to combine elements of the City graphically with an updated City motto of, ‘By sea and land we sustain.’ Our graphic execution came about with a focus on cyclical qualities, speaking to our City’s sensitivity to sustainable practices, along with solid design elements that represent our values. We have included the Dogwood flower, waves from the Pacific Ocean, the paddle from the Coat of Arms, as well as a functional, grip texture that symbolizes the weather we are infamous for in this beautiful City. Through research of the City’s history and a focus on the future of sustainability, together we have come to a design solution that is as attractive as it is meaningful.